We play pure strong rock and roll, rock and blues, hard rock and blues, we love the blues, rage, melancholy, happiness, tiredness, strength, weakness, love, friendship, five years long for recording those five songs and all life together in friendship. We are one lady and three guys from Tuscany and we live in Florence area. One voice, one guitar, one bass, one drum. Contact us for live gigs or for producing our music. Thanks to Matteo and Federico who worked on our music and did a fantastic job at http://www.boomker.net/ Contattateci per concerti o per produrre la nostra musica, siamo in quattro, il genere è rock con delle forti venature blues. Esprimiamo emozioni creando attorno ad esse una cornice musicale elaborata anche se di base il nostro linguaggio è il semplice rock blues tipico degli anni in cui siamo nati e con il quale siamo cresciuti. 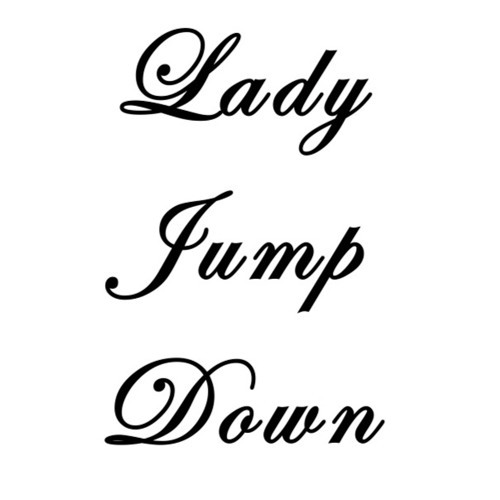 Enjoy Lady Jump Down! Il tutto è stato concepito e partorito e suonato e mixato qui: http://www.boomker.net/ grazie a Matte e a Fede.